Feature Film Debut. World Premiere, SXSW 2018, Narrative Competition. Released November 15th 2018, On VOD November 16th. Distributed by Orion Classics. Now available on Amazon, iTunes, and Google Play. SXSW Winner- Special Jury Recognition Award for Writing. American Black Film Festival-ABFF: Best Screenplay Award. NBC Spotlight Actor Award-Zoe Renee. 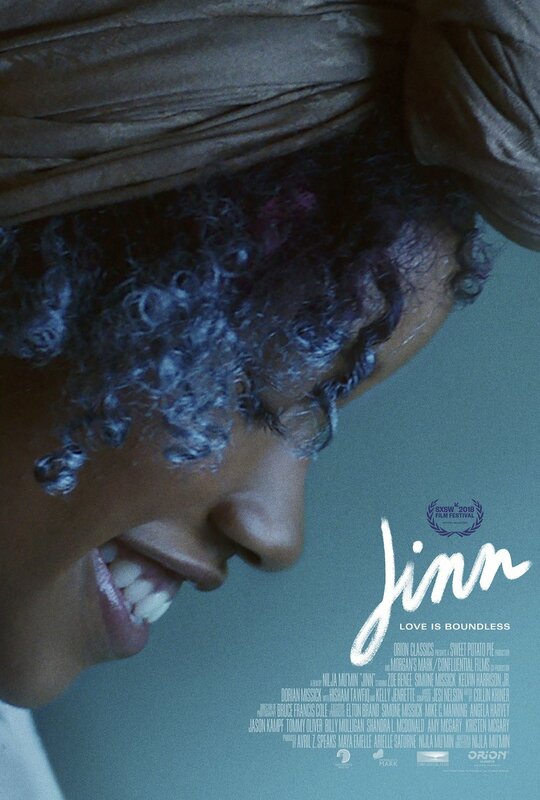 The Variability of Muslim Life in Nijla Mu’min’s JINN- Birth. Movies. Death. Starring Zoe Renee, Simone Missick, Kelvin Harrison Jr., Dorian Missick, Hisham Tawfiq, Kelly Jenrette, Ashlei Foushee, and Maya Morales.